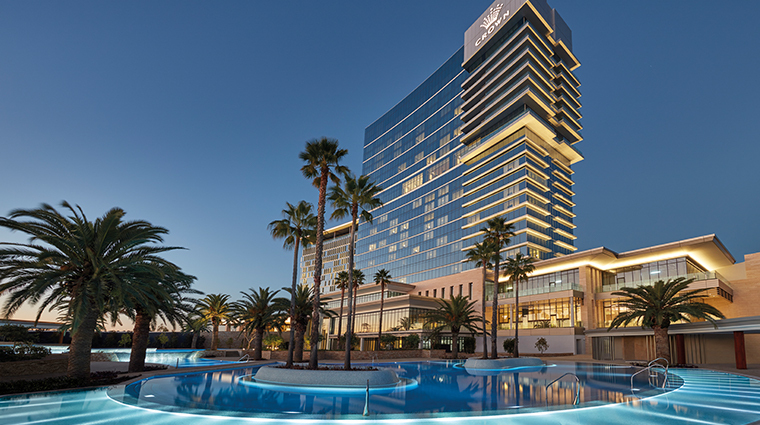 Deemed one of the most expensive hotel builds in the country, Crown Towers Perth is Western Australia’s undisputed destination resort. 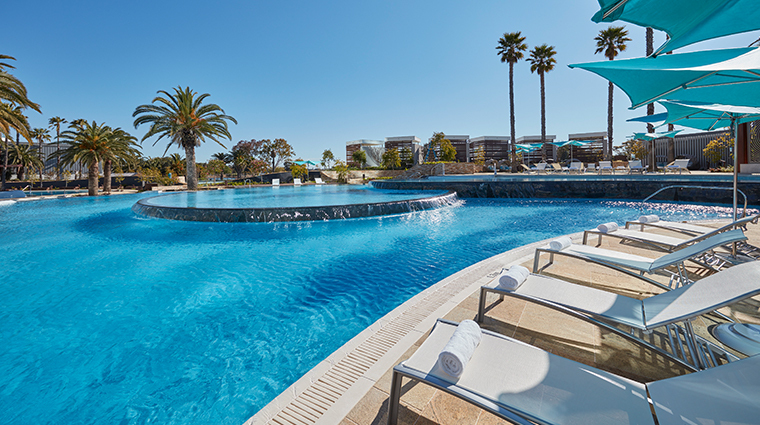 Exuding understated glamour, Perth’s most extravagant stay is ideally situated just a few minutes away from the city center and the iconic Optus Stadium. 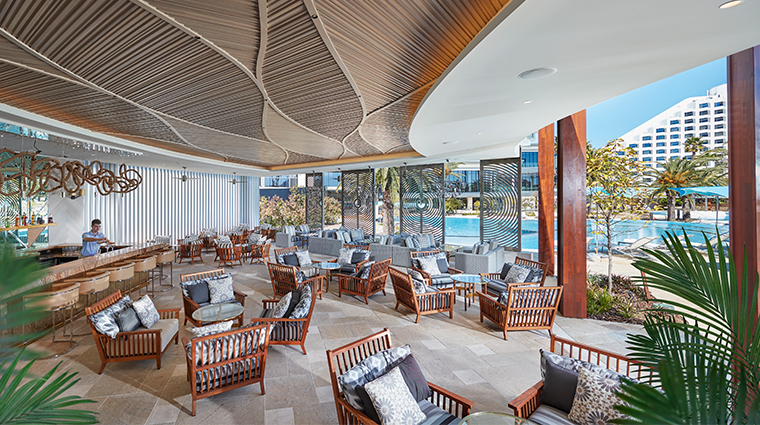 Inspired by the beauty of Western Australia, the property’s design — led by an all-star team, including architecture firm Bates Smart and interior designers Michael Fiebrich and Blainey North — ensures that you’re never too far removed from the spectacular landscape. 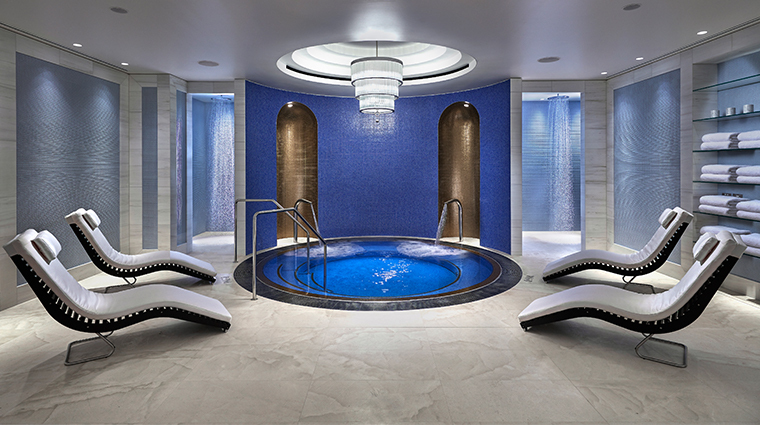 From the artistic 23-foot woven ceilings in the expansive lobby to the massive lagoon-style pool heated to exactly 86 degrees, no detail is too small at this luxurious hotel, where you’ll find the service is as polished as the 8,000-piece ceramic mosaic that greets you from behind the reception desk. 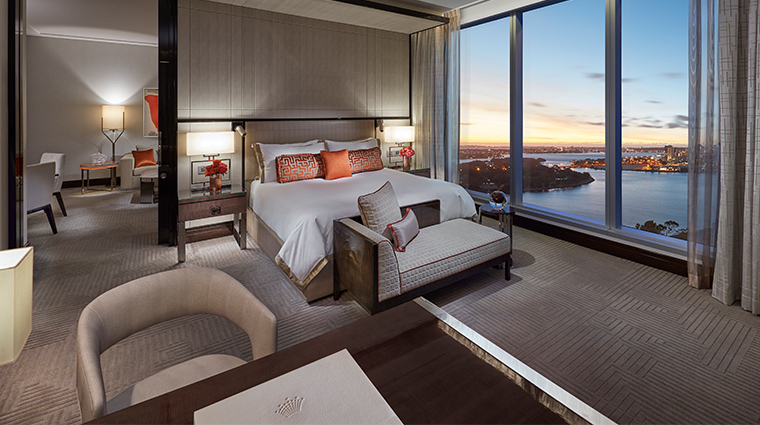 From the sweeping foyer featuring a sculptural mural of the Swan River by artist Ian Dowling, to the custom-made carpets adorned with an Asian-inspired motif of eight links, the entrance is undisputedly grand. 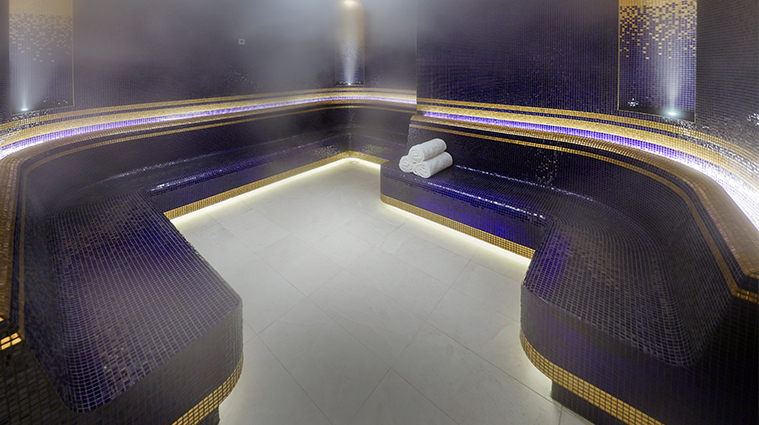 Designed by Blainey North, Crown Spa Perth spans nearly 14,000 square feet and plunges you into an underwater world of refracted light and aqua-hued treatment rooms. La Prairie’s cellular science pampers alongside Subtle Energy’s aromatherapy and works in harmony with the ancient philosophy of Ayurveda. 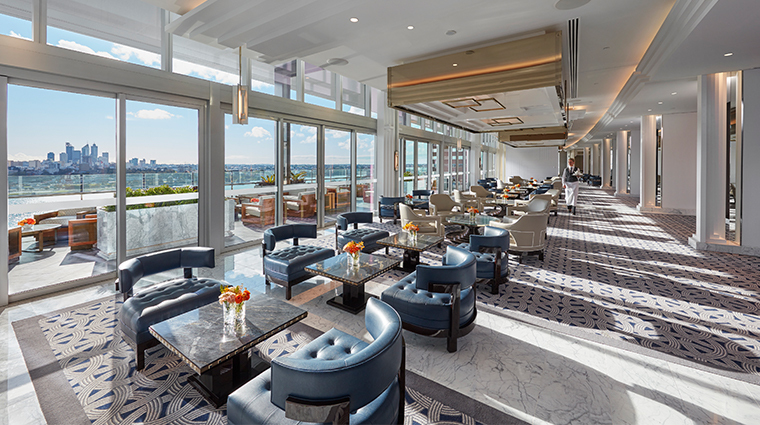 Situated on the 15th floor, the Crystal Club is an exclusive lounge with personalized check-in and concierge service, and serves all-day refreshments, complimentary breakfast and evening canapés and drinks for each of its Club Level guests. 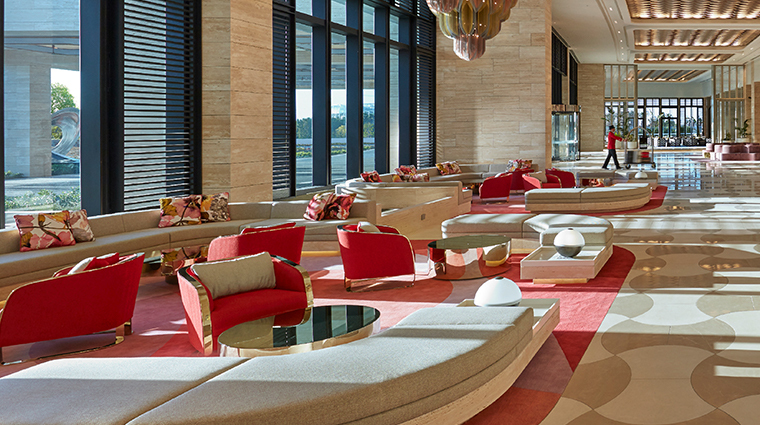 Blainey North applied the bold structural geometry of Bismuth crystal to the swanky club, not only for its beauty but also for its discreet functionality. 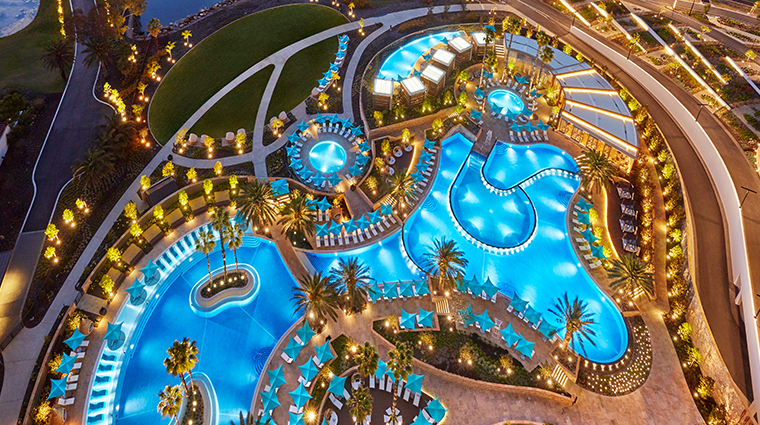 The sensational multi-tiered pool area makes the most of its riverside location with an infinity edge that creates a resort-style feel. 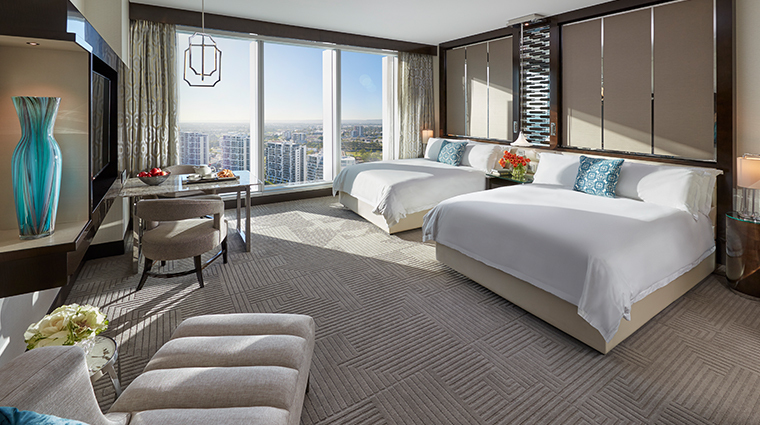 The private cabanas in the adults-only Enclave area offer an additional level of luxurious seclusion behind their billowy curtains. The unique curvature of the building emulates the arch of the adjacent Swan River, providing a sense of privacy while swanning along the corridor. 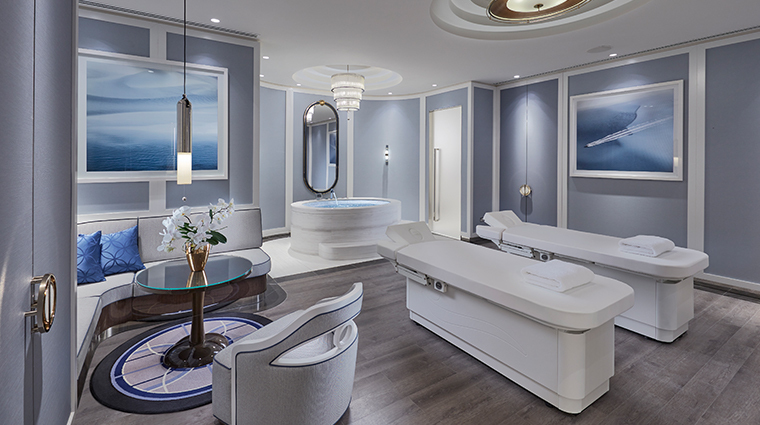 Those staying in the Crown Towers Suites and Villas receive automatic access to the exclusive Crystal Club, but any hotel guest can enjoy this exclusive spot for a fee. 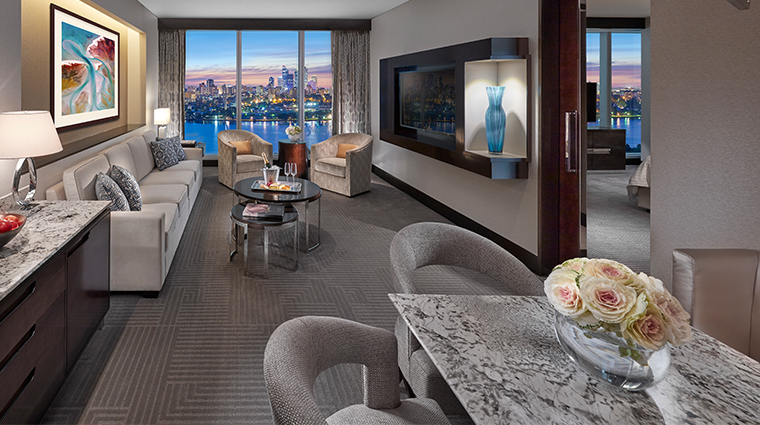 The lounge’s panoramic views of the city and unique design alone are sure to impress any date or business associate. 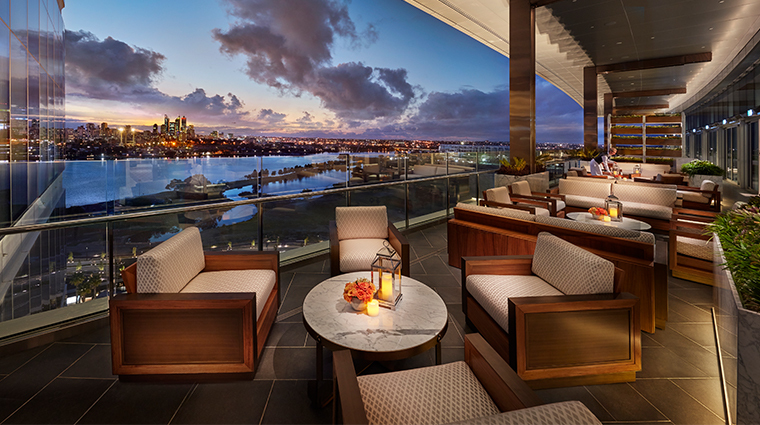 The Crown Towers’ restaurants Epicurean and The Waiting Room are almost always booked up on weekends, but don’t despair. 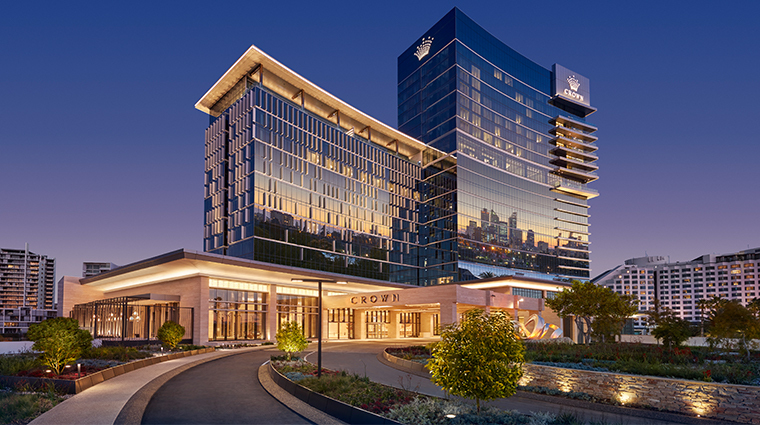 World-class dining awaits within the rest of the Crown Perth complex, too, with options such as Nobu, Bistro Guillaume, Rockpool Bar & Grill, Modo Mio and Silks. 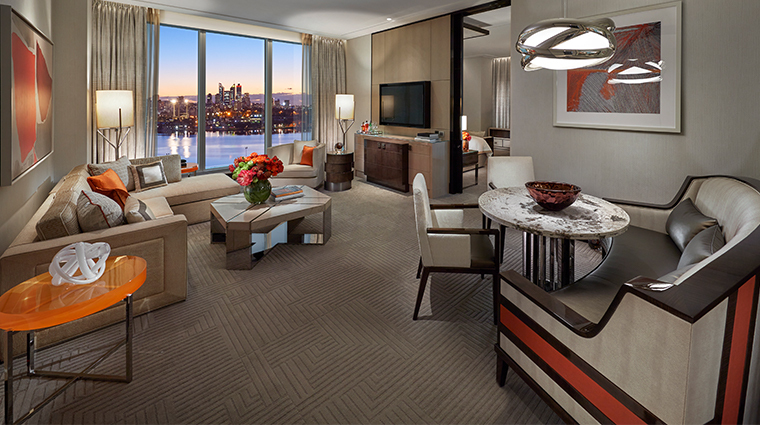 If there was ever a reason to splurge, it has to be on the Crown Towers Suites and Villas. 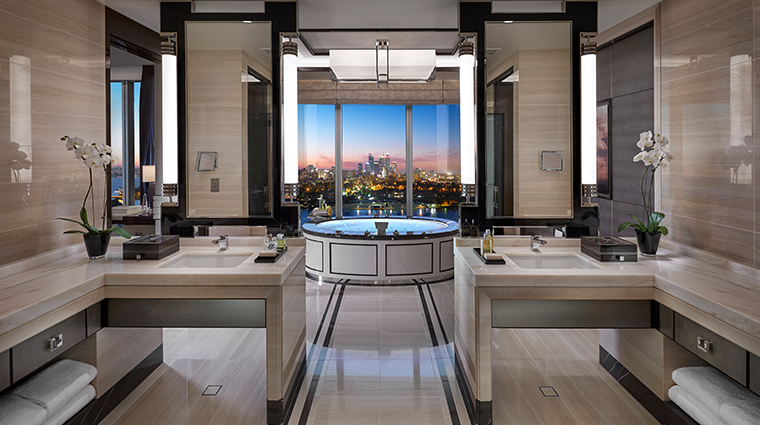 These ultra-luxe accommodations include a personal butler, showers that double as steam rooms, bespoke furniture and marble baths with sweeping views that should be enjoyed with a glass of bubbly. 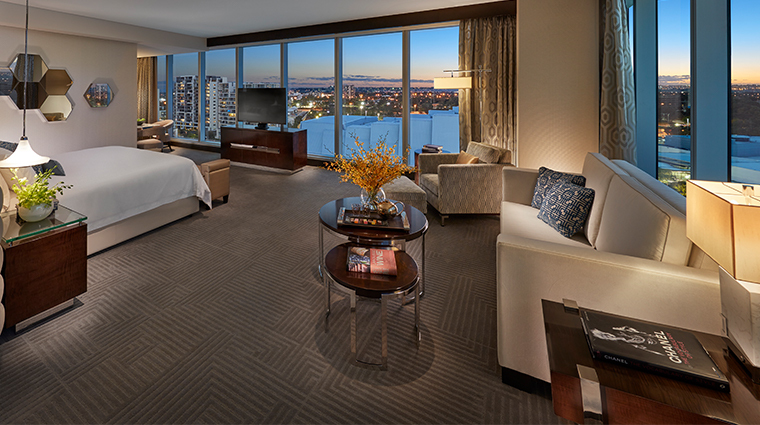 The Deluxe Twin rooms also let you have a piece of luxury with floor-to-ceiling windows and soaking tubs with built-in TVs. 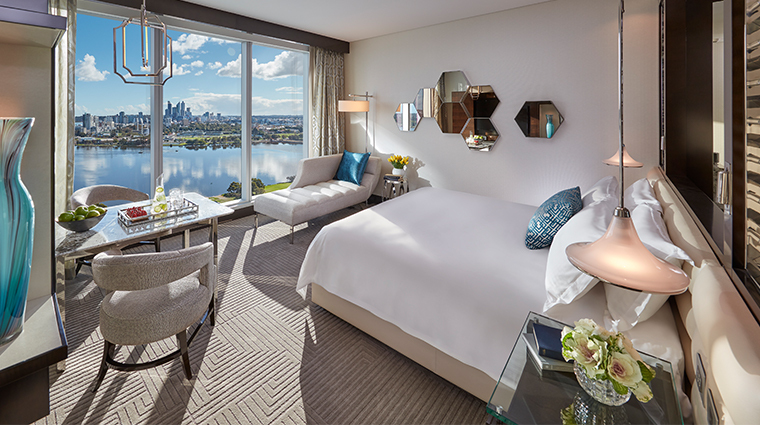 Regardless of the room type, there’s always a connection to the landscape thanks to massive windows showcasing either the tranquil Darling Ranges or the glistening city skyline. 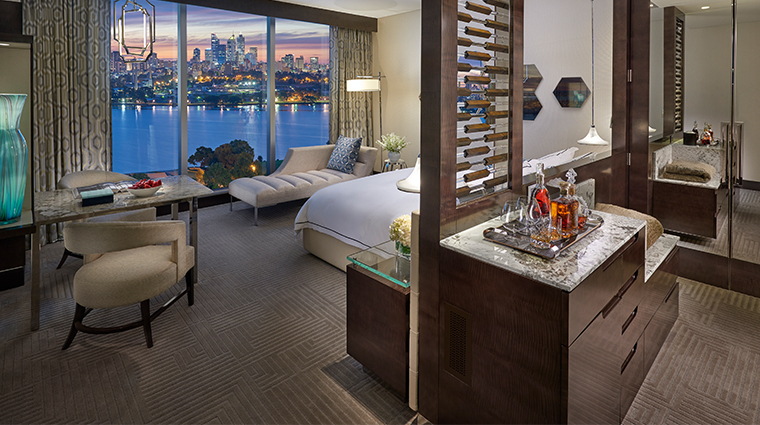 Other luxurious touches in the Perth hotel rooms include tablets that manage your lighting, air-conditioning and TV; locally made Koko Black chocolates; and plush microfiber bathrobes. 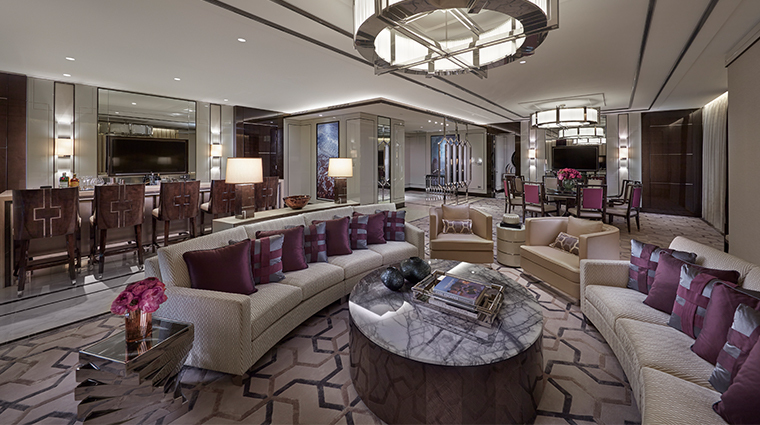 Lavish in style and slick in service, The Waiting Room (TWR) inspires much lingering within its sumptuous décor. While many come for the top-shelf spirits, others are drawn to tipples from the Golden Age, such as Willard’s Julep with smoked, bone-marrow-infused Bulleit Bourbon. The food menu at The Waiting Room is equally as luscious. Start the day with eggs Benedict or buttermilk pancakes and then graze over oysters, Angus beef and foie gras sliders, truffle fries, empanadas or the World Cheese Board. Taking a unique spin on the traditional afternoon tea, TWR’s High Coffee features sweet signature sips, such as the caramel espresso martini, Tropic Thunder or Bittersweet Symphony. Decadent dessert pairings include a chocolate cigar, macaroons and a caramel-whiskey-infused chocolate mousse with zesty orange. Epicurean is the pinnacle of buffet dining and the choice of cuisines served throughout the day spans from around the world. Dine on dim sum, fresh seafood selections and Indian delights from the tandoori oven, among other dishes from executive chef Sean Marco and his team.